This lesson will show you how to create a stack with a window shape. All you will need for this is a png image with transparent sections. 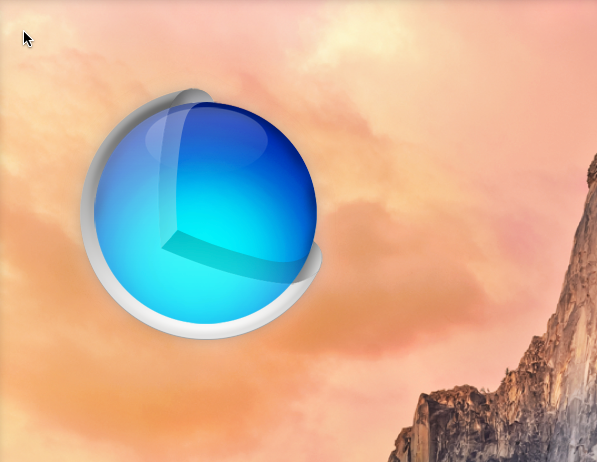 In this case I am going to use a large application icon to create a great looking little desktop widget. 5) choose the file you downloaded. 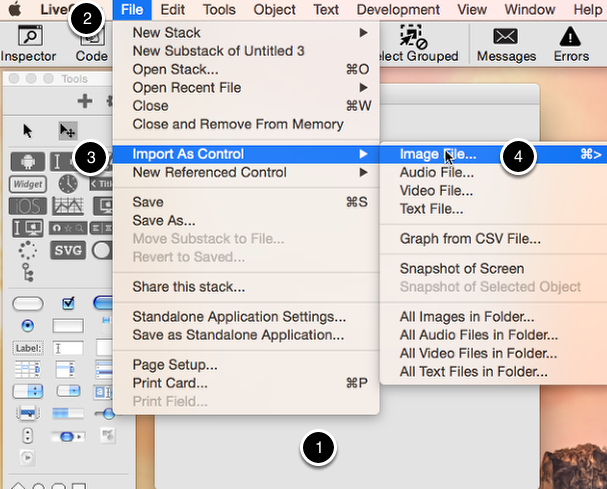 This will bring up an image chooser dialog allowing you to browse to your file. 'Import As Control' does exactly what it says, it create a new control on your stack with the data of your image in it. 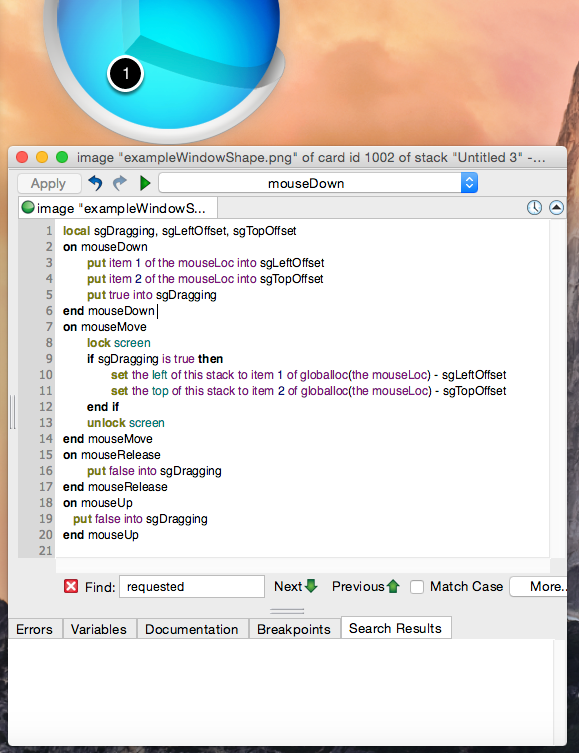 Move your mouse over the stack you are working with, and press Enter. "The mousestack" returns the stack that your mouse is currently hovering over and is a great command to use when working with the message box. You'll notice that your window also still has an outline. 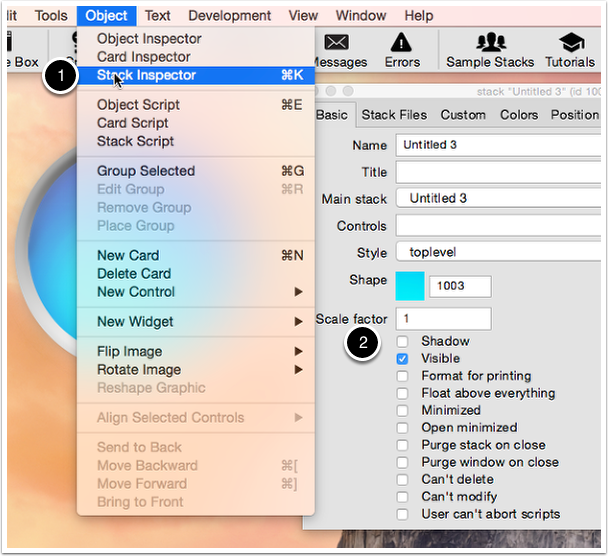 To remove that, open the Stack Inspector from the Object menu (1), and uncheck "shadow" (2). 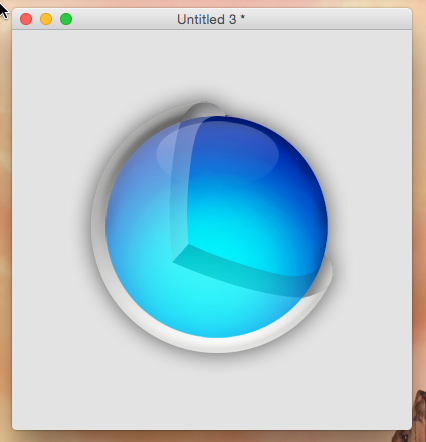 A window shape removes all window controls from your stack. You are presented with a key problem: How do I move my stack now that the title bar is gone? Select your window, then click on the Code editor icon in the toolbar. Click Apply. 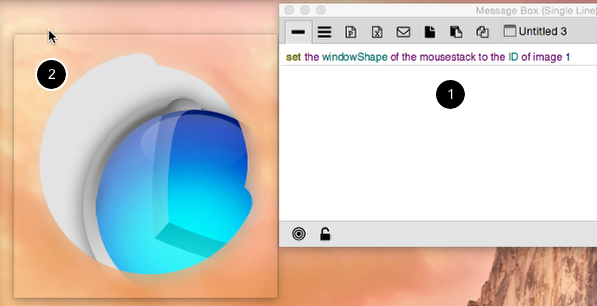 Now switch to run mode, and you should be able to drag your window around the screen using your mouse. Next: How do I Send Messages During A Drag Operation? I don't seem to have an image file that contains the image shown in this demo. I have looked in the Rev file and can not locate any such file. Can you please advise where I might look. I have attached an example image file to the lesson. I had to close LiveCode and restart it. No worries. yes you can get unexpected result if the mouse cursor is not exactly over the stack you are trying to change. Thanks for this. This is great stuff! when I run the move script my window shoots off somewhere and I can't get it back. Any ideas why this is happening? that is an interesting one. I can only assume there is a bug in your code. I would suggest putting some logging information into your mouseMove handler, rather than letting it move your application. Maybe you can make some sense of the information that is coming in there first. The application should follow the move of the mouse and not have a mind of its own. Why can't I use this simpler code? You could use that code, and it would work, but the movement of stack will appear jerkier and does not keep up with with the position of the mouse as well. 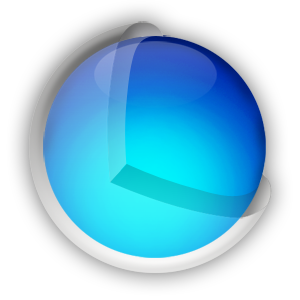 The mouseStillDown messages is sent periodically so, usually, it is easier and more efficient to use the mouseMove message to track the movement of the mouse while the mouse button is being held down.